Since first starting their Marsello loyalty programme, Summer Lane has seen a 55.45% increase in loyalty members. Family owned Summer Lane is both an online store and a Sydney-based brick-and-mortar store. OwnerJessie and her team are passionate about helping people find the perfect gift and it shows in their customer service and attention to detail. They specialize in bringing fashionable, functional lifestyle products to families all over the world and they only stock quality products that have been tried and tested, recommended and raved about! 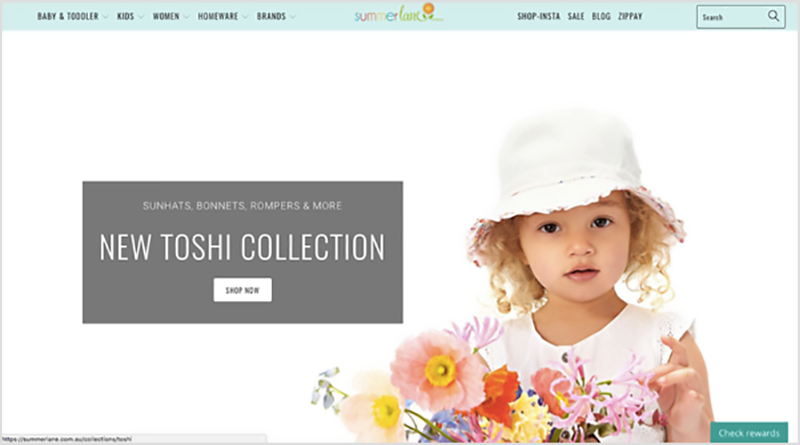 Summer Lane's loyalty widget is friendly, colorful and inviting – just like their beautifully designed store. They have added their logo to their widget and the addition of customized theme colors tie their branding to their loyalty program, making it instantly recognizable. They've even added one of their cute campaign images, which shows that they have products for children of all ages. • and, building member relationships with birthday rewards. Check out the widget in the image below to see exactly how Summer Lane loyalty customers can earn points! “Marsello allows me to seamlessly integrate both the online store and the physical store. This means that customers from all over the world can benefit from our rewards, and we are not limited to who we can offer it too. Additionally, Marsello offers exceptional support, and they have been such a delight to work with." Jessie and her team know that sometimes customers need to look at things a little differently before they can find the best product for them. 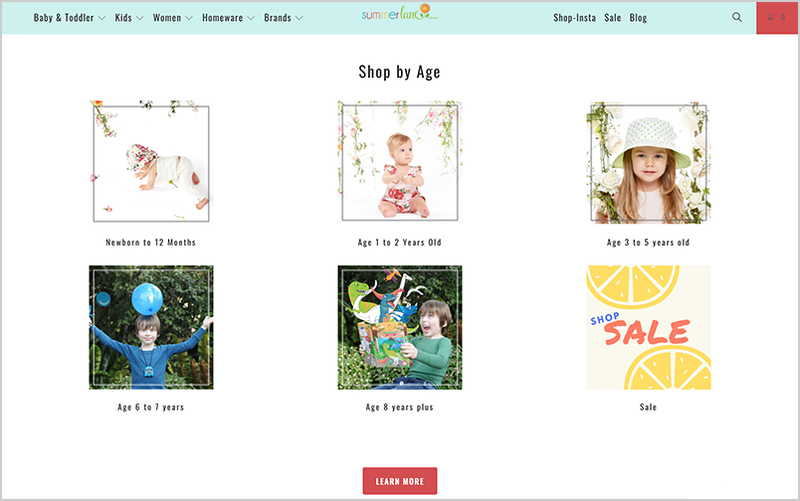 With this in mind, Summer Lane have curated a product order based on age and gender, making it easy for their customers to browse and find the perfect products or gifts. Their images are beautifully brand-relevant and inticing. Summer Lane cleverly uses Instagram's ʻmultiple image’ feature to showcase their products. Using three different images, a beautiful campaign image, a product image, and a close-up of fabric print, it's easy for followers to fall in love with their products as soon as they see them.